We have over 20 years of experience moving cars throughout the continental United States and beyond. And we’re very familiar with the challenges of Alaska to Wisconsin car transportation. That’s why we’re able to make every car shipment a worry-free process for our customers. When it comes to Alaska to Wisconsin car transportation, we want you to know that you have options. A good car carrier knows that no two customers are exactly alike which is why we do our best to meet the unique requirements of every car shipment. We offer a variety of shipping methods for to car transportation, and you can check them out below. There’s no trade secret for how Direct Connect Auto meets these challenges: experience and preparation. If you’re caught flat-footed in the Last Frontier during to Wisconsin car transportation, then you are sure to pay the price. That’s why we leverage our 20 plus years of experience everytime we venture into the 49th State. If your vehicle is being transported by barge Alaska to Wisconsin chances are that it will be passing through the Port of Anchorage (POA). 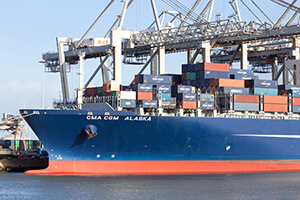 The POA is the largest port in Alaska and it is vital to the state’s infrastructure, so much so that it is often referred to as just The Port Of Alaska. Every year it takes in over 3.5 million tons of cargo. And this deep water port provides full, year-round service through all manner of severe weather and tide events, including the formation of ice sheets. The POA, which was open in 1961, began an extensive modernization in 2017 to future proof and improve its facilities. When it comes to Alaska to Wisconsin car transportation, you cannot take anything for granted. Hiring an inexperienced or unreliable auto transporter can place both you and your car in a perilous situation. That’s why you should only insist on using a car transportation company that knows the ins and outs of moving through the Last Frontier, so you can be sure your car arrives on time and in pristine condition. If you’re ready to schedule your Alaska to Wisconsin, don’t hesitate and contact us today. How can I schedule my Alaska to Wisconsin auto shipping order? Can I track the progress of my Alaska to Wisconsin transport online? How do I get a quote for shipping my vehicle from Alaska to Wisconsin? You can either click on the Get Quote link for a free instant online quote, or call us to receive a quote from a professional shipping coordinator. You will need to specify where in Alaska the vehicle would be picked up and where in Wisconsin you need the vehicle delivered. You must provide the zipcodes for each so that our auto shipping calculator can provide you with our most competitive instant auto transport rates.